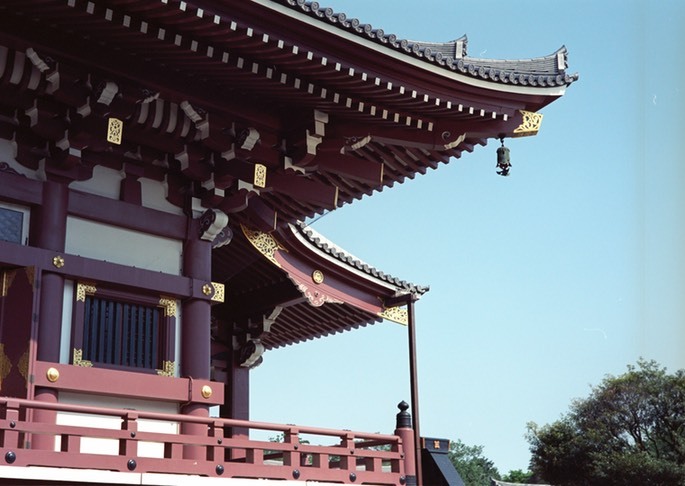 This is a very famous temple that is actually on the outskirts of the main Tokyo city, near the Tama River. It is famous for a) it's size and b) the 99 steps to get into it. It has extensive grounds and a very large cemetary. 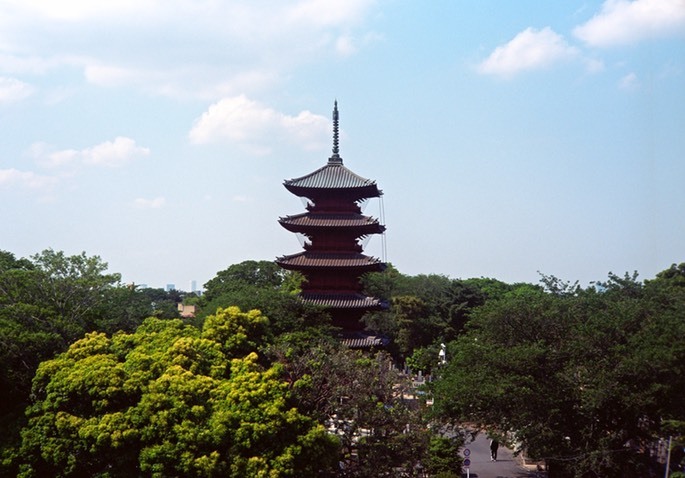 There is also a quite large pagoda in the grounds that is visible for miles. In all it is a very pleasant temple and one where almost no tourists make it, so you can sometimes have much of it to yourself. Spring of course is a good time to go and see the trees and flowers. I took along a Voigtlander R3A camera body with a Carl Zeiss 50mm F1.5 Sonnar lens attached, with a roll of Kodak Ektar 100 - and my tryusty Sigma DP2 Merrill for digital stuff. Both did good service on the day. 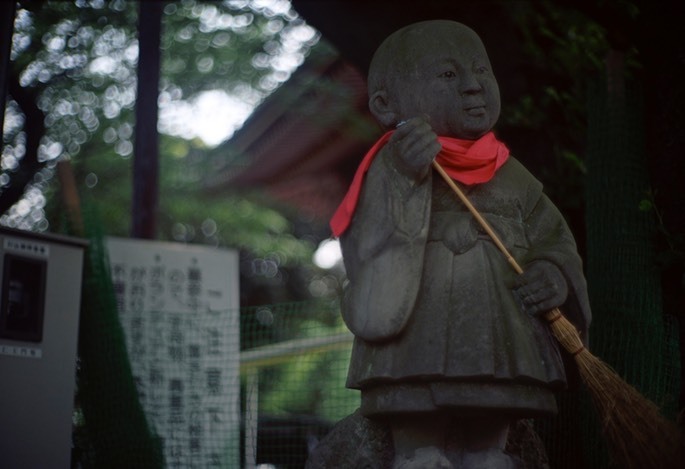 Sweeping statue. Voigtlabder R3A with Ektar. It's spring in Tokyo. 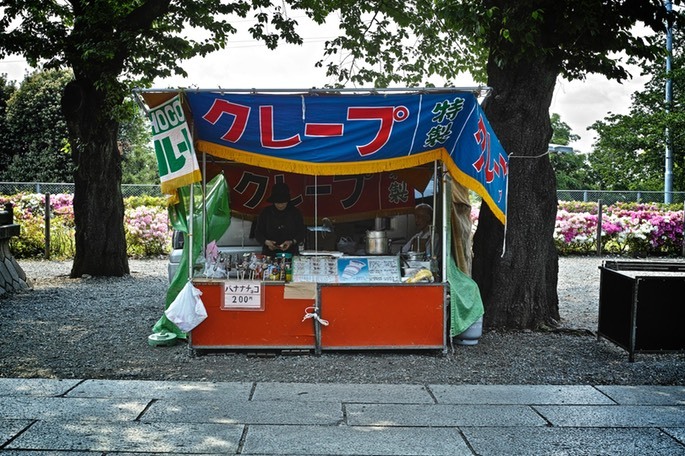 Sigma DP2 Merrill. 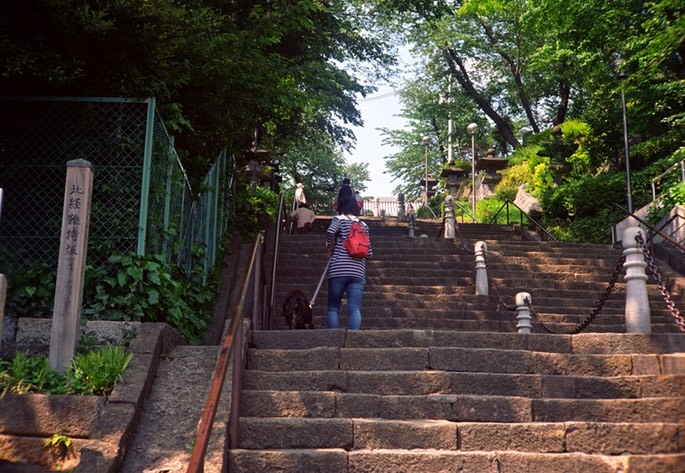 The steps proved a challenge for my geriatric dog. Voigtlander R3A with Ektar. 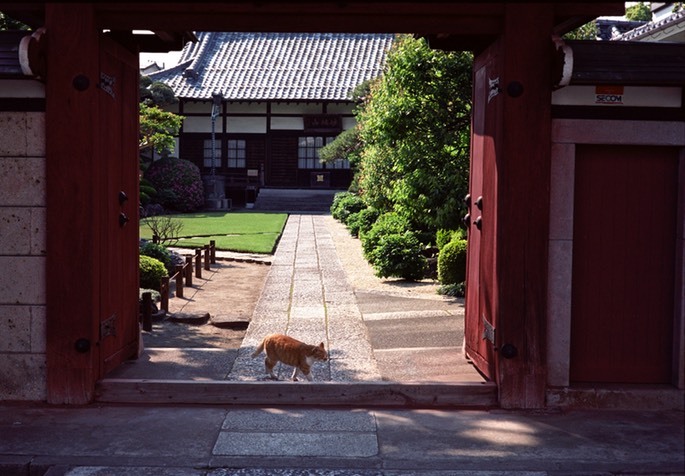 Every temple has a cat. Voigtlander R3A with Ektar. The graveyard was photogentic. Voigtalnder R3A with Ektar. You could buy Choco Bananas there. I did not. 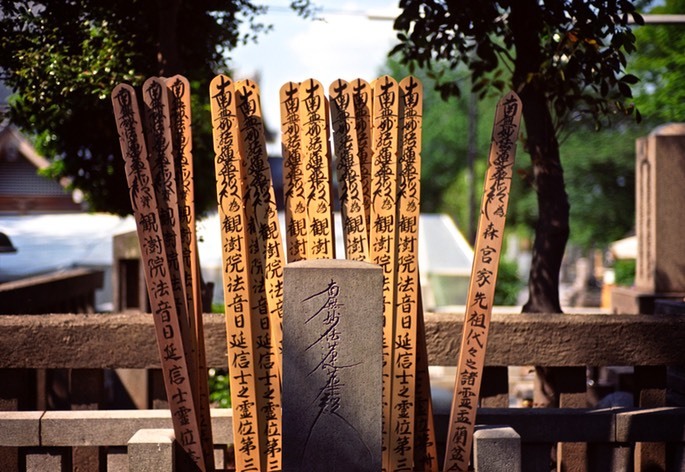 Sigma DP2 Merrill. 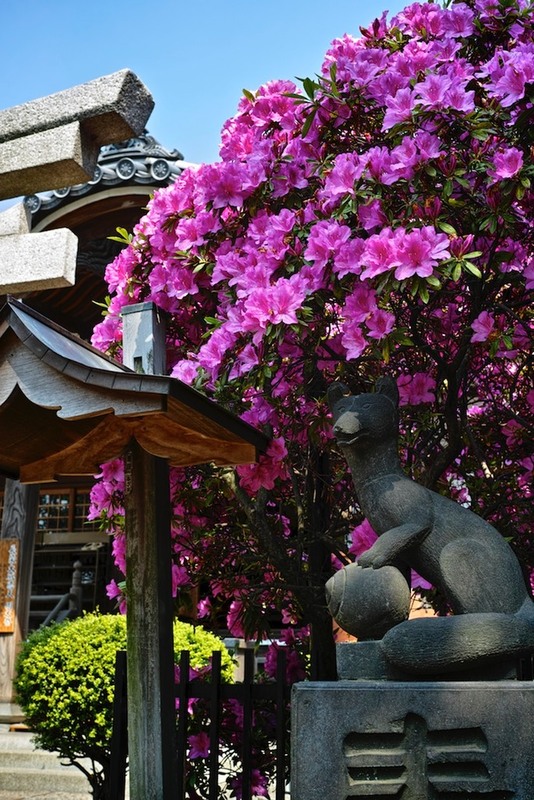 beautiful detail on the wooden shrine building. Voigtlander R3A with Ektar. 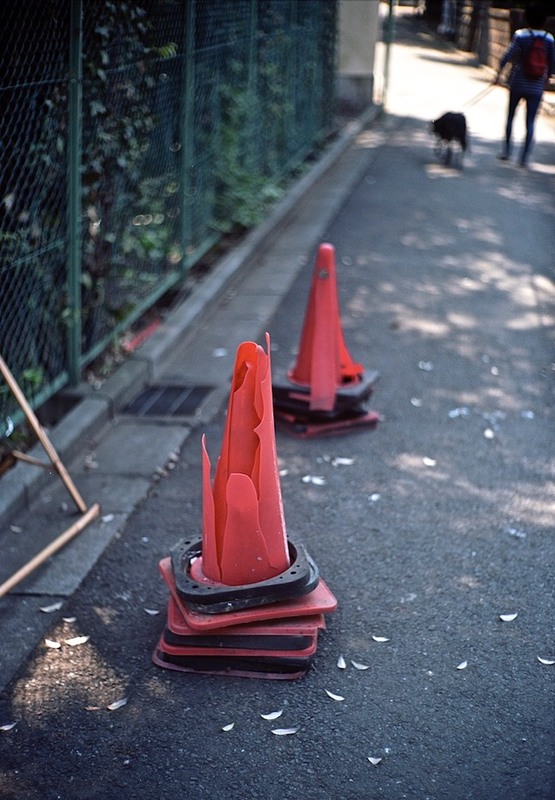 One for Dave at ShootTokyo - abused cones. Something needs to be done about this. Voigtlander R3A with Ektar. 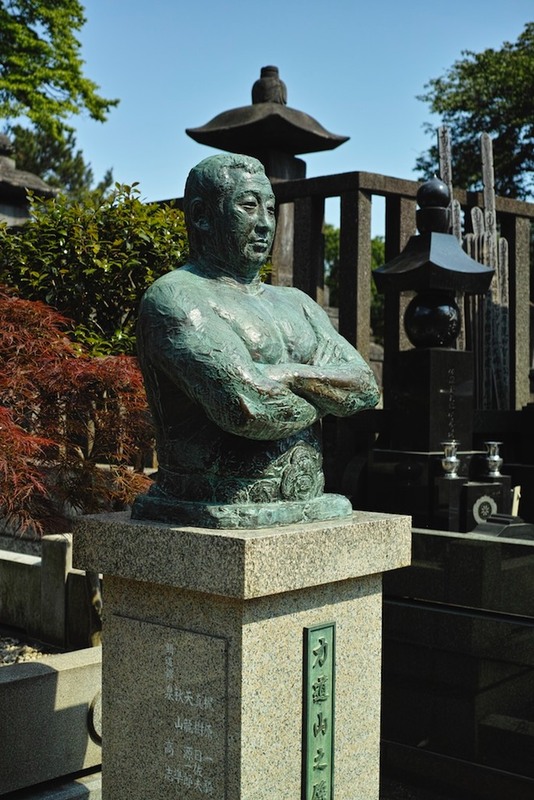 The grave of a very famous pro-wrestler - Rikidozan - which attracts quite a crowd. Sigma DP2 Merrill.